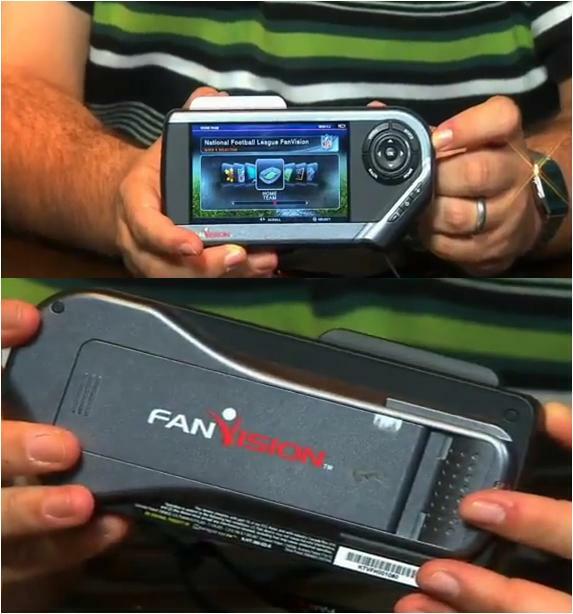 Fanvision a new revolutionary hand held device that has been launched at all F1, NFL and College Football sporting events. All sporting fans that buy an expensive ticket to the games hardly see ten percent of the entire circuit particularly in Formula 1 or updated results due to lack of information flow amongst the audience. Every fan must have gone through the phase of asking various questions from the person sitting next to them such as,"Oh! I wonder how fast is Michael Schumacher driving in that F1 Mercedes?" or " Is that Mark Webber who just over took Fernando Alonso in the Red Ferrari ?" And tons of many more questions as the game becomes thrilling by the minute. At that very moment a fan wont get that condescending feeling while using an iphone, android or any other smart phone which just wont be able to provide all the information a fan needs,even through GPRS with its annoying buffering stages minute by minute. -Bulky and Shock resistance casing. 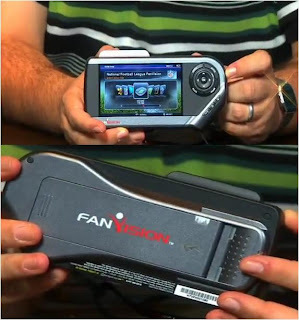 Fanvision packs a mighty blow with its UHF(Ultra High Frequency) transceiver within the stadium premises and local area with its 10 channels of sports entertainment in HD quality .Which means no un-necessary buffering like in smart phones because a fanvision user is getting a live feed, more over one can replay a particular event as much he/she wants, and look through the entire race statistics over and over without any interruptions. More than five thousand of these devices were introduced in the F1 Italian Grand Prix, Monza circuit at the souvenir stands and also given on rent by the distributers. BBC world did the entire local live feed broadcasting on Fanvision at the Italian Grand prix. 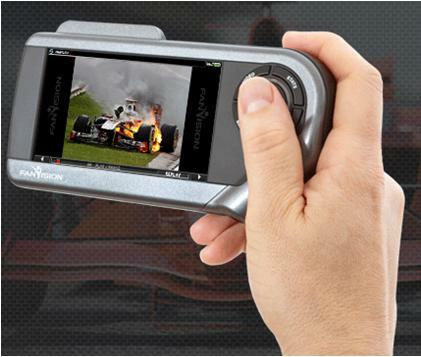 Fanvision visual transmitters have also been deployed at the Indian Grand prix circuit so that the Indian fans can experience F1 like never before. 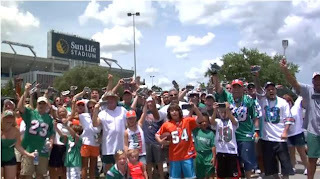 Five thousand of these devices were given for free to the NFL season ticket holders on first come first serve basis. Each unit costs $199.00, price may vary depending on various locations. This is a cool device! I have some great news I would like to share with all you sport fans, DISH Network has came out with a portable dish that finds the satellite signal its self. What I really think is great its only weighs 10 pounds and working for DISH I can tell you that you do not need a second account for this. Check this link out http://goo.gl/vd4M4.